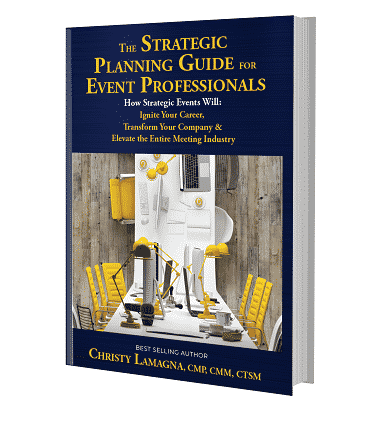 As planners, we are always looking for ways to elevate the attendee experience however, our budgets often have us searching for clever ways to make an impression that doesn’t break the bank. When the WOW meets HOW moment appears the answers can sometimes be refreshing. Take your standard run of the mill water station. Why not create a fruit infused water bar? I recently saw a coaster that read, ‘I can’t drink eight glasses of water a day, but I can drink eight glasses of wine a day, no problem.’ The sentiment made me laugh out loud. I’m happy to say that I have finally conquered the ‘eight glasses of water a day’ mountain and most days consume 10 or twelve. My secret? Gourmet water. Not the expensive, store-bought water with electrolytes or artificial flavors. Gourmet water that I make in my kitchen. 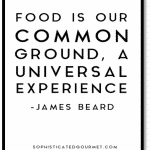 It has quickly turned from habit into hobby as the flavor combinations are endless. I now customize my water in synch with the way my day is scheduled. I feel better, my skin is clearer and no matter what else happens to my well-intentioned food plan during the day, I know I did one healthy thing for myself. A pitcher of spa-reminiscent cucumber basil water is on the menu when I have challenging calls or an intense project to complete. On days after a late night of meetings, I wake up to a pineapple orange medley. 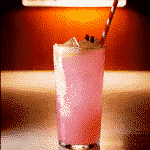 The citrus is not only pretty to look at, the flavors give me a subtle boost every time I sip. Last summer, strawberry, basil lime water was my first choice. The crisp, sweet and zippy combination boosted my energy and made me think of the frosty drink awaiting me at the end of the work week. On days I want a bit more of a savory taste, grapefruit and rosemary get me through the day. While onsite, I lamented that I was back to ‘boring old water,’ and then it hit me. 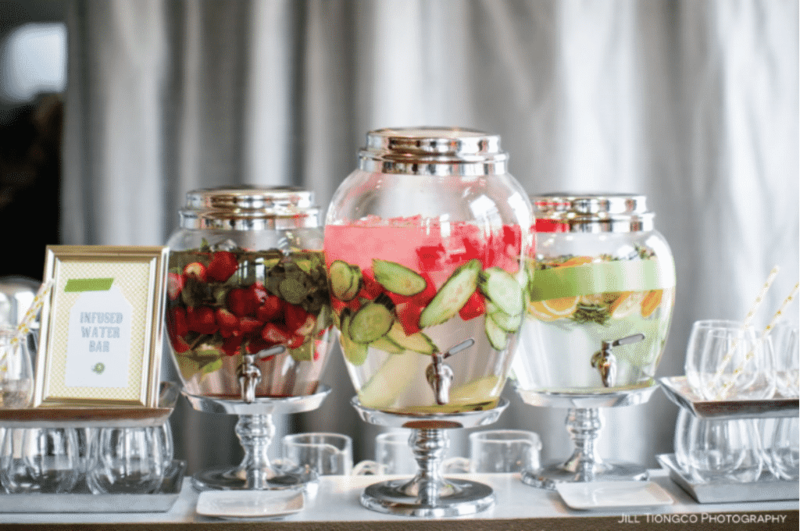 Why not incorporate a ‘gourmet water’ buffet so everyone can mix and match and make their own water concoction? From there, it was all creativity, fun and happy discoveries as attendees created their own flavor profiles. For those who didn’t want to build their own, we had premade, labeled flavors that we rotated each day. We saved on expensive bottled water, reduced our carbon footprint and found a new way to colorfully present the most basic of menu items. I can only hope the idea inspired some to continue the practice when they got home. As for me, it’s all about the water during the week but on weekends, it’s still fun to add wine to the menu! These are some of our favorite water flavor profiles, and combinations that have health benefits. Want some additional information from the professionals at Hello Glow? Click here.